On the day of last week's Massachusetts special election for the U.S. Senate seat, I was disappointed to read that there would be no exit polls. The mainstream media that normally organize exit polling had decided against them for this election back when the race looked to be a cakewalk for Massachusetts Attorney General Martha Coakley. When State Senator Scott Brown surged ahead of Coakley in polls during the last one-and-a-half weeks before election day, there was simply not enough time left for the media to organize a reliable exit poll. A week after the election, I was surprised and intrigued to read an op-ed in the Boston Globe by Democratic media consultant Dan Payne describing the results of an "exit poll" conducted by Hart Research Associates, a Washington, D.C. based survey research firm. Did somebody actually take an exit poll despite election-day stories to the contrary? No, as is clear from two organizations which did the polling on election day. No exit polls from today’s Senate special in Massachusetts, where the polls are open from 7 a.m. to 8 p.m. The consortium scrambled to put something together — for the “why,” more than for the call — but wasn’t confident a reliable system could be built so fast. ROONEY [interrupting]: I've been lamenting that. Sadly, the studio's cameras didn't show the look on the face of suddenly-silent Jon Keller -- seated in-between Reilly and Rooney -- who was presumably either ready to pounce with his "eye-popping exit poll numbers" or dropping his jaw that his colleagues could be so clueless as to think there weren't any exit polls. Or maybe, just maybe, he kept his mouth shut so that he would not step in it again. Our polling shows that 53% of voters in Massachusetts are Democrats, 21% Republican and 26% not affiliated with either party. These numbers agree with neither the voter registration in Massachusetts, which have 51% of the electorate unenrolled, nor the 2008 presidential election exit polling data, which have 43% of actual voters identifying as unenrolled. Those poll internals are red flags that were picked up by Nate Silver of FiveThirtyEight.com, who is currently the best independent poll analyst on the national scene; Keller should have immediately seen the poll problems, too. Let's hope that the media don't sell short the next election and put together a set of reliable exit polls. Otherwise we are likely to see another round of misrepresentations of the nature and reliability of the polling data come November. *** Update 1: Keller has, as of 1/29/09, now corrected the text on his blog entry to read "these election-day poll numbers." Update 2: It looks like WGBH's Beat the Press will be tackling the issue of no exit polls in this week's broadcast -- without Keller. Will Supreme Court Decision Allow Non-Profits to Endorse Candidates for Election? The Government may regulate corporate political speech through disclaimer and disclosure requirements, but it may not suppress that speech altogether. While the court's decision adjudicated the free speech rights of organizations falling under section 501(c)(4) of the federal tax code, the reasoning of the majority opinion, based on the First Amendment, raises a related question: Do tax-exempt non-profit organizations likewise now have First Amendment free speech rights that cannot be abridged by prohibitions on partisan political activity in section 501(c)(3) of the tax code? Charities governed by 501(c)(3) — which are not affected by the court ruling — present a more complicated picture, legal experts say. Such groups are barred from any partisan political activity and may conduct only a limited amount of lobbying. The Supreme Court has previously ruled that such restrictions do not violate free-speech rights because charities benefit from tax-deductible contributions. [The] Supreme Court has opened the door for more extensive political activity by nonprofit groups, which may be a mixed blessing. This has generally been obscured because the Supreme Court’s decision refers to election spending by “corporations,” which many understand as “businesses.” In fact, the opinion is using “corporations” in a legal sense, referring not just to businesses but also to labor unions and many other types of incorporated organizations, including nonprofit ones. Many non-profit groups -- particularly the larger ones with deeper pockets -- are organized as corporations under state law, which is why Lenkowsky argues for more expansive implications of the court's decision. I can imagine, however, that the counter-argument to expanded non-profit advocacy would be that non-profit institutions in effect obtain their tax-exempt status in exchange for surrendering some of their free speech rights -- a tax-exempt benefit that 501(c)(4) organizations do not enjoy. Free speech rights are not restricted, because the organization could always turn down the tax-exempt designation. But it still raises interesting possibility: Might the Catholic Church now have the free speech right to endorse candidates in federal elections without losing its tax-exempt status as a 501(c)(3) non-profit? If so, then Massachusetts might once again look politically like it did early in the 20th century when William Cardinal O'Connell exerted enormous political power. Imagine how different the abortion or casino gambling debates would play out if the church were free to engage in partisan political activity. The Democratic Party and its supporters wasted no time to start passing the blame over the loss their candidate, Massachusetts Attorney General Martha Coakley, in the U.S. Senate special election last Tuesday to State Senator Scott Brown. Political reporter Bob Katzen writes in his Beacon Hill Roll Call column about how the blame could be passed all the way back to 2004 -- when the state legislature passed a law changing the way a new senator is chosen. At the time, Senator John Kerry was the Democratic nominee for president; if he would have won that race, the law up until 2004 gave the governor the power to appoint his successor in the senate. And the governor at that time was none other than Mitt Romney, a Republican. 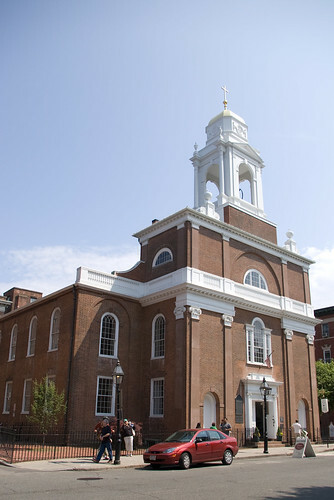 If the 2004 bill had never been passed, then Senator Paul Kirk, temporary appointee of Governor Deval Patrick, would continue in his post until after the November 2012 election for the seat. While the 2004 bill passed the legislature overwhelmingly, finger-wagger Jon Keller singles out Milton State Sen. Brian Joyce and Mattapoisett Rep. William Straus for their roles behind the bill. Locally, we can ask: How did our Allston-Brighton representatives vote on the 2004 bill to change the way a senate vacancy is filled from an appointment to a special election? A "yes" vote was in favor of a special election instead of a gubernatorial appointment. Note that Rep. Moran played a more recent role in September 2009 in chairing the legislature's committee on elections that reformed the 2004 law in order to provide for a temporary gubernatorial appointment pending the outcome of the special election. Honan, Moran, Galluccio, and Tolman all voted for the September 2009 bill. Reps. Honan and Moran both voted against a similar bill in 2006 that would have granted the same temporary appointment powers to the governor. They both win the "Flip-Flop of the Year" award for Allston-Brighton. 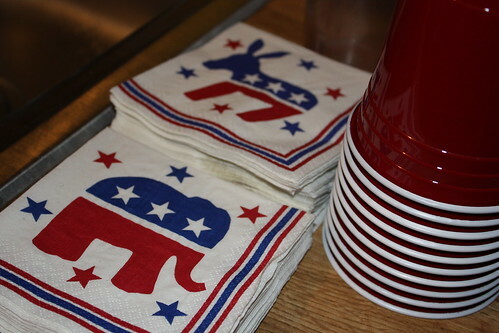 A group of Republican residents in Allston-Brighton have resurrected the Ward 21 Republican Committee, going against demographic trends in the neighborhood where only 8% of the voters are registered as Republicans. Registered Democrats outnumber Republicans in A-B by around a six-to-one margin. Eric Gittleman, secretary and treasurer of the newly re-formed committee, told me last fall how he had organized a group of residents in Ward 21 and was beginning the process of formal recognition. They filed their statements with the Massachusetts Republican Party on November 30. In response to a tweeted query today he confirmed that the committee was the product of several months of work -- not the result of Massachusetts Republicans' new-found enthusiasm in the wake of State Senator Scott Brown's victory last Tuesday in the special election for the U.S. Senate seat. He noted, however, that they welcome into their committee people newly-energized by the election results. The committee is holding a caucus next week because they are required to elect delegates to the state's convention before February 3rd. The meeting is scheduled for Wednesday, January 27th in Dorchester at All Saints’ Church, 209 Ashmont St, Boston MA 02124, from 7:00 pm until 9:00 pm. Prior to the caucus, they will meet closer to A-B at the office of Boston Student Realty, 1066 Commonwealth Ave, Boston MA 02215, at 5:30 pm. 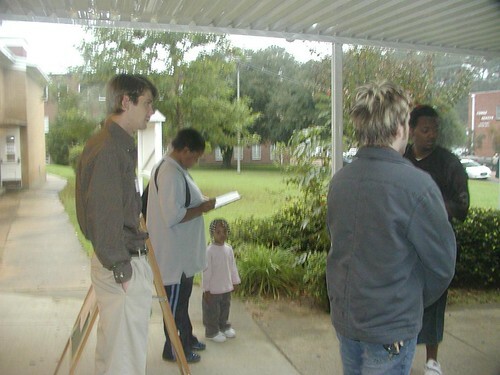 As with Democratic ward committees, the meeting is open to the public but delegates must be registered Republicans as of December 1, 2009. No word to date from Ward 22's Republicans. Anybody out there? Brighton resident, businessman, Jay Severin-watcher, and sometimes playwright David Schrag decided to imagine what Adolph Hitler President Barack Obama would've thought when he realized that Republican State Senator Scott Brown defeated Massachusetts Attorney General Martha Coakley in the special election for the U.S. Senate seat. Schrag unfortunately got scooped by Dennis DiClaudio, whose own version of the same concept made it onto Comedy Central's website. Warning for both: put down your coffee before watching, otherwise serious spraying may result. Now that State Senator Scott Brown has defeated Massachusetts Attorney General Martha Coakley in the special election for the U.S. Senate seat by a margin of around six percentage points, it's time for me to join the chorus of armchair politicos to draw lessons learned from the election. Base Elections are the Exception, Not the Rule. Politicos like to point to Karl Rove's electorate base strategy in 2004 as the model for an effective presidential campaign, but that strategy worked well because so many states had anti-gay marriage constitutional amendments on their ballots that year. President George W. Bush won running towards the middle in 2000; Senator John McCain lost running towards the right in 2008; while now-President Barack Obama in 2008 had a platform full of progressive policies, in many ways he won in the middle (52-44% of moderates) using conciliatory language and vows of bipartisanship. If you look at the mailings and phone calls in this campaign, it is plainly obvious that Coakley was contacting pretty much only Democratic voters while Brown was going for unenrolled (independent) voters. It is absolutely amazing how stark the difference was. Coakley seemed to make no attempt to contact unenrolled voters -- who make up more than 50% of registered voters -- while Brown did so repeatedly. Polls in the week before the election showed Brown winning unenrolled voters by 2:1 or 3:1 margins. The 2004 presidential election was an outlier. Independent voters continue to be where close elections are won or lost -- even in liberal Massachusetts. The Third Maxim of Politics. The first maxim of politics is that All Politics Are Local. The second maxim is that You Have to Ask People For Their Vote. Now we have learned the third maxim: You Have to Shake People's Hands. Not hide away in your campaign office or substitute meetings with members of town school committees -- even though they are elected officials. Shake people's hands; don't ever say that it isn't important to do so. And then shake some more hands. Massachusetts Corollary #1: Sox with an "x," tot "cks". Not only shake people's hands, but don't make fun of people who shake voters' hands outside Fenway Park -- or mock Red Sox legends like Curt Schilling. That'll kill you with the crowd that is looking for any reason to say that you're Out Of Touch. Establishment Candidacies Are Bad News In This Political Climate. Coakley ran a campaign that was amazingly similar to then-Senator Hillary Clinton's presidential campaign in 2007-8: the establishment candidate whose election is inevitable. Until that inevitability hits a big pothole, that is. Even though Clinton wrapped up lots of Democratic superdelegates early in the primary and caucus season, then-Senator Barack Obama eventually caught up with her on that score; meanwhile, Obama had churned out substantially more elected delegates. You don't need to lock up the support of every single member of a school committee, board of selectmen, water district board, union organizing committee, or ward committee. There are far more voters out there than there are selectmen. Meet some ordinary voters, shake their hands, and ask them for their vote. Don't Make Easy Assumptions: They Can Be Wrong. People assumed Coakley, as the woman in the race, had the women's vote wrapped up. But at least one poll in the past week broke down the numbers and showed she was surprisingly weak among women voters. I wouldn't be surprised if that were true back in the December 2009 primary, too. Do the Capuano, Khazei, or Pagliuca campaigns have polling to share on this point? Coakley's Future In Doubt. Coakley's amateurish campaign immediately makes her appear vulnerable this fall -- from either a Republican or a Democratic challenger. Coakley is now perceived as such a weakened candidate for state-wide office that a challenger is inevitable. I will venture a bit close to the precipice and make a bolder prediction: Democratic Party leaders in Massachusetts will quietly pull Coakley aside and suggest that she not run again for attorney general. Those leaders talking to Coakley will not be the leadership in the state legislature, however, since they are all scared to death that Secretary of the Commonwealth William Galvin will run for Attorney General -- and get subpoena power. They would rather see a no-name Republican as attorney general than Galvin. I predict that Galvin moves forward with a run for the seat and scares Coakley into not running for re-election -- just like 2002 when Mitt Romney drove then-Acting Governor Jane Swift out of the race for governor. 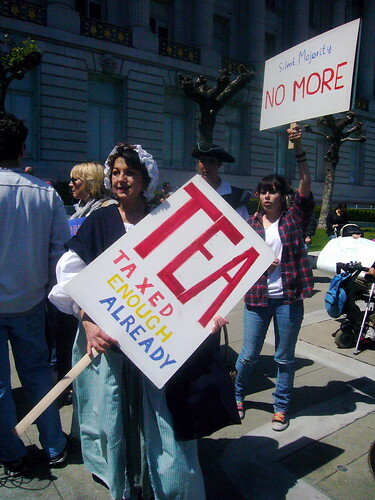 The tea party movement claimed national attention last year with protests against tax policy and using their favorite prop, the teabag -- a reference to the Boston Tea Party. One candidate for Boston City Councilor-At-Large last year, Doug Bennett, even had connections to the movements, speaking to assembled crowds at two tea party events. At first some tea partiers referred to their activities as teabagging or to themselves as teabaggers, but they have since chosen to avoid these terms due to their sexual connotations. "A woman is like a teabag. You never know how strong she is until you put her in hot water." I'm sure Senator Tolman didn't mean to connect the senate president with the tea party movement, right? Boston Police at D-14 station seek the public's assistance identifying two individuals who appear to have committed at least five of eight armed robberies of Brighton convenience stores during the past month. The five incidents have occurred at: Quality Market, 140 North Beacon Street (hit twice); Tedeschi's, 241 Market Street (hit twice); and Brooks Variety Store, 32 Brooks Street. People with information contact D-14 detectives at (617)343-4256 or submit anonymous tips at the CrimeStoppers Tip Line at (800)494-TIPS or text the word ‘TIP’ to CRIME (27463). A camera truck from WHDH (channel 7) was seen outside the Tedeschi's in the late afternoon, presumably for a live shot on tonight's newscasts. A few years back the Metropolitan District Commission did a lousy job -- basically no job whatsoever -- in shoveling snow on the sidewalks on Chestnut Hill Avenue, Beacon Street, and Commonwealth near to the Reilly Memorial Rink and other property (Chestnut Hill Reservoir) it owned at Cleveland Circle. They wouldn't even bother clearing the leaves from the sidewalks in late Fall, resulting in a trampled down mess of wet leaves that would then get trampled down with unshoveled snow into an undulating, slippery mess for pedestrians. When the MDC disappeared and morphed into the Department of Conservation and Recreation, not much changed. But lately, I have seen those streets shoveled more often and in a timely fashion. But why? Is the DCR all of a sudden doing a phenomenal job at shoveling sidewalks, now that they no longer are in charge of plowing the parkways in town? Sunday night I learned the secret to their recent sidewalk shoveling success: the DCR brought in a chain gang from the Department of Corrections. Well, not exactly a chain gang. Nobody was shackled hand and foot to each other. But they were wearing orange jumpsuits with big, black letters "DOC" on the back, and there were two vehicles -- one from DCR with equipment, the other a van from DOC for the passengers -- slowly following the shoveling men as they worked their way around the ice rink and reservoir. Unfortunately, I didn't have a camera with me to, um, "capture" the guys for posterity. So I had to settle for a stock photo from Creative Commons. Sounds to me like a good solution to address something that used to be a big problem. Image of guantanamo jumpsuit orange cropped from an image by gierszewski, used through a Creative Commons license.